In East Salem, the elite St. Adrian's Academy is at the nexus of a satanic apocalypse--and the fatal tide is rising. When Hieronymus Bosch's Garden of Earthly Delights is reunited with the pagans who commissioned it, a dark prophecy begins to unfold in East Salem, beginning with a savage double-murder by hellish creatures straight out of the painting itself. The lone survivor of the attack, a seventeen-year-old Brit, finds sanctuary at Tommy Gunderson's home--and the place is soon surrounded by demons who seem to be biding their time . . . but for how long? Tommy's pond has been contaminated with Provivilan--an insidious drug that could transform New York City's children into an army of violence addicted murderers. But for an occult cabal in the upper echelons of Linz Pharmaceuticals, contaminating the water supply is just part of an ancient conspiracy against all of humankind. As the clouds gather, Tommy and Dani realize they must infiltrate Linz and St. Adrian's to stop the dissemination of Provivilan. Even then, it could take a tangible eruption of the battle between angels and demons to save humanity from the supernatural evils that have been summoned to East Salem. 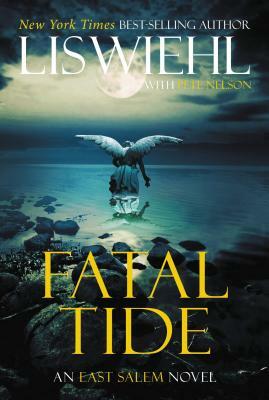 Lis Wiehl is a "New York Times" best-selling author, Harvard Law School graduate, and former federal prosecutor. A popular legal analyst and commentator for the Fox News Channel, Wiehl appears weekly on"The O'Reilly Factor, Lou Dobbs Tonight, Imus in the Morning, Kelly's Court," and more. Visit her website at www.liswiehlbooks.com Twitter: @LisWiehl Facebook: LisWiehl"